L.A. 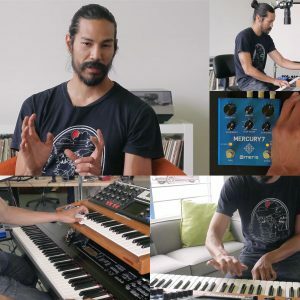 Session Artist/Keyboardist Bryan Velasco performs with Meris pedals (Ottobit Jr. and Mercury7). Bryan gives his very first impressions of the pedals and adds spice while playing thru a Moog Voyager and Yamaha S90. More Bryan Valesco coming soon, sign up for useful updates delivered to your inbox.